Subscribe to recieve a download link. 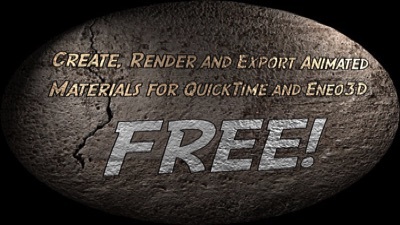 This subscription is for news about ShaderSmith and Eneo3D only. We do not share or sell your info with anyone. www.shadertoy.com and www.glslsandbox.com for use with SceneKit and Eneo3D. 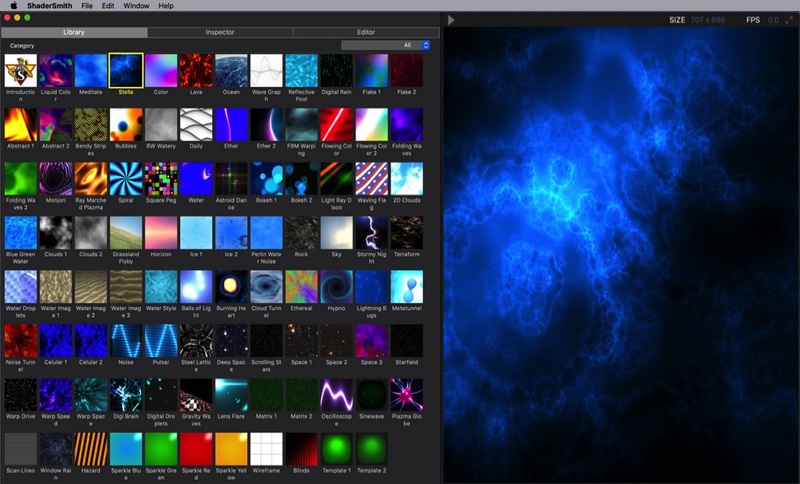 The Shaders are Creative Common License to Share and Share Alike for Educational, Non-Commercial Use. 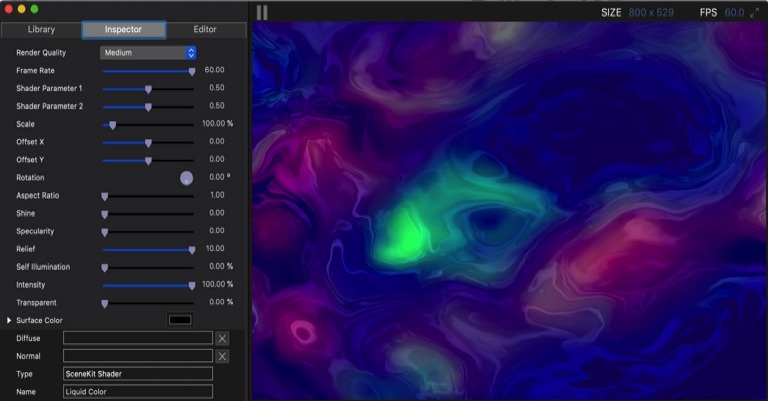 ShaderSmith is a stand-alone Mac application for browsing, editing, creating, rendering and exporting animated fragment shader materials using native Apple SceneKit and QuickTime technology. You can modify existing library materials or create from scratch. Make a QuickTime movie or Use your materials with Eneo3D and Motion for material maps on 3D Objects including Text, Badges, Posters, Flags, Banners, etc. We've curated and ported nearly 100 Animated Fragment Shaders from the Incredible work at shadertoy.com and glslsandbox.com to work with Eneo3D and SceneKit as examples and learning aids. 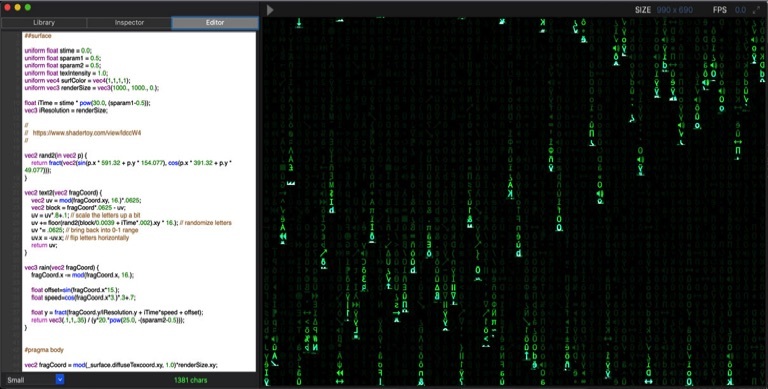 Use the Script Editor to Inspect and Edit in RealTime!